The electric Smart will be available to private customers in a few weeks. This is the third generation of the model already, and there will be a hopped up version to go with the market launch of the standard model. The base electric model makes 55 kW, this upcoming Brabus version will have more. Exactly like the gasoline Smart, the Brabus model is the most powerful in the family. 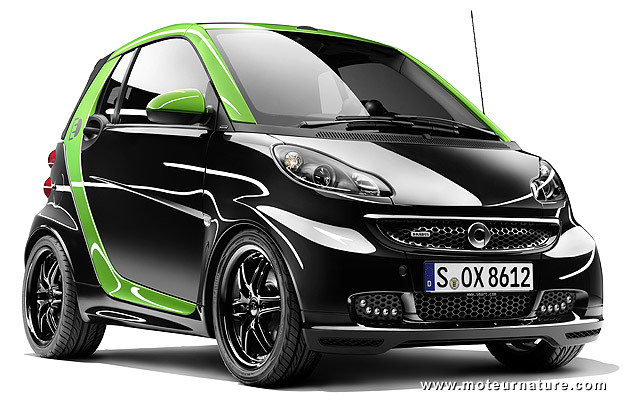 We first notice a full body kit, black and green instead of white and green for the standard electric Smart, with a different grille and LEDs front lights. Then there’s that 60 kW motor under the floor. In such a tiny car, with the flat torque curve of an electric motor, that sounds promising. But the best news is that this stronger Smart will be sold alongside the standard model, at all Smart dealers. 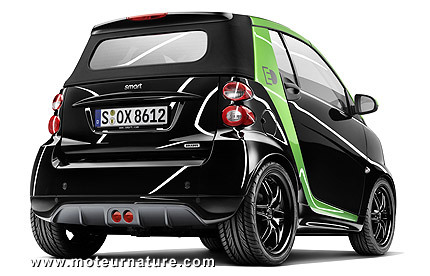 The electric Smart Brabus will be available this fall in Europe. No word yet about other markets.